The Apple Mail converter application is designed to migrate data from a Mac Mail database file to PST. This PST file can be uploaded into Outlook 2016, 2013, 2010, 2007, 2003. There are two separate ways of uploading data files into the tool. Software will convert Apple Mail mailbox to PST format & provides two ways to create a data file for multiple Apple Mail database files. The Mac Mail to Outlook Converter is a reliable and relevant tool. 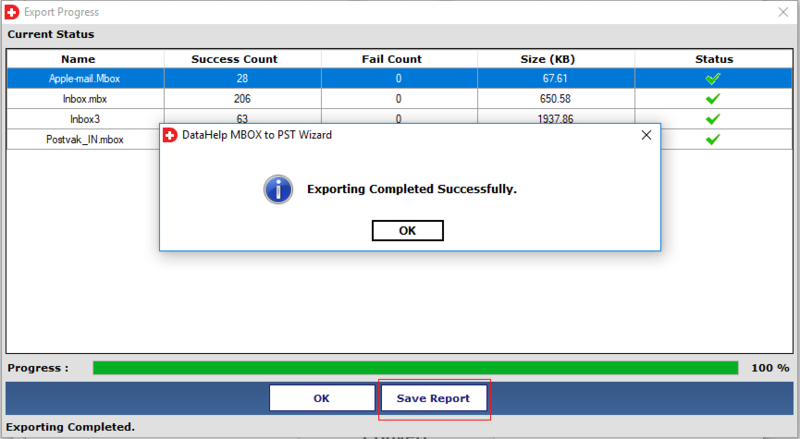 It creates a live status report with details of the file being migrated with size in KB, success and failure count. A user waits until the process has reached the desired file and click the 'Stop' button. This will help them to selectively export data files. There is a facility to directly drop the Apple Mail data files to the software interface. One just needs to drag any number of files anywhere in the provided panel. These are automatically recognised by the Apple Mail mailbox converter and prepared for Mac Apple Mail to PST file conversion. The application can work on all the latest versions of Windows 10/8.1/8/7/XP or earlier ones. This is a stand-alone application and does not require a desktop client to work. It creates a UNICODE PST file at the end which can be saved anywhere in the system. There is no size limitation imposed on the data files which can be loaded to the tool. It convert entire data of Apple Mail to Outlook 2016, 2013, 2010, 2007, 2003 PST file. The Apple Mail to PST converter software ensures that there are no changes to information stored within the data file. It ensures a completely safe and secure transfer. There is no data loss and even email attributes such as to, cc, bcc, subject, message size are retained. The email formatting and folder hierarchy remain unchanged in the output format. The Demo Version of Apple Mail converter export only 10 items. What will be the total time taken to migrate Mac Mail to Outlook? Software does not take too much time to migrate Apple Mail to Outlook, but it will depend on the size of the files, a small database with limited emails will transfer faster comparatively. 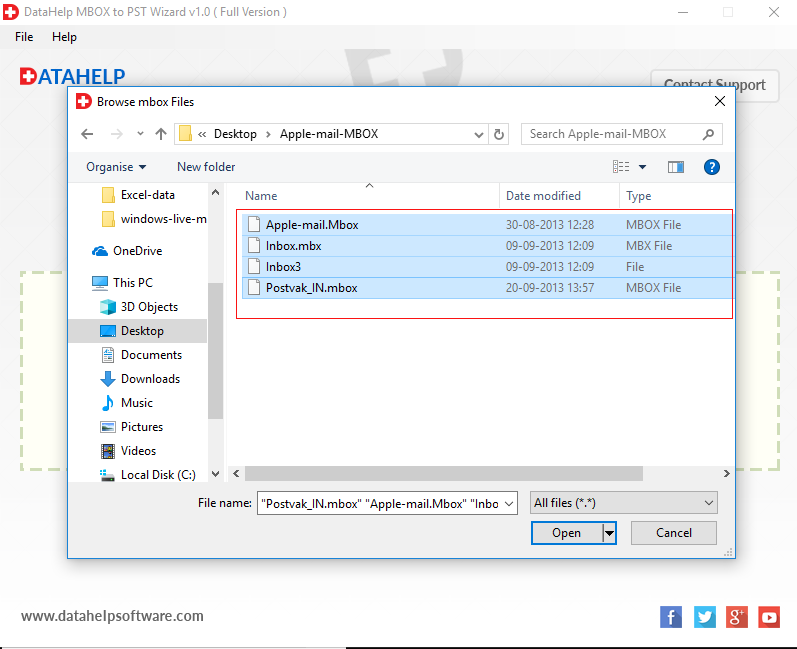 Is there a facility to convert multiple Apple mail files into PST? Yes, Mac mail export tool provides a checkbox that says 'Create Single (.pst) file'. It can be used to export multiple data files into one. It is present right when setting destination path. Is there a facility to save the progress report at the end? Yes, the Mac Mail converter saved completed export report in CSV at the end of the complete process. Will this tool guarantee secure export? Yes, the application guarantees 100% accuracy. This means there is no data loss during export Mac Mail to PST. What is the maximum size permitted by this software? There is no file size limitation imposed by this Apple Mail to PST converter tool as such. A user can upload a data file of any size. "I have recently purchased this Apple Mail to PST converter software and had to write a proper review about it. It is simple, direct and has multiple features. It performs all the tasks within a few clicks. It comes at a reasonable price and worth every penny. It is a remarkable product to export Apple mail to Outlook 2016, 2013, 2010, 2007, 2003 importable PST and very easy-to-use. It has user-friendly graphics which can even be used by a non-technical user. Kudos to the development team!" "I had some old conversation in Mac Mail mailbox that I was using. They were archived in a database file which was old and unreadable in Outlook email application. A colleague suggested me to use this DataHelp Apple Mail Converter product. It was very effective and reliable. It helped me convert Mac Mail to PST in few simple steps. It had plenty of options to save the complete database flawlessly." Apple Mail converter tool helps to transfer .emlx files or folder to PST format with their attachments. It provides option to add EMLX files or folder, with this feature users can select a folder in which Mac Apple Mail emails are stored. After that, it is capable enough to load all email messages with total item count automatically. 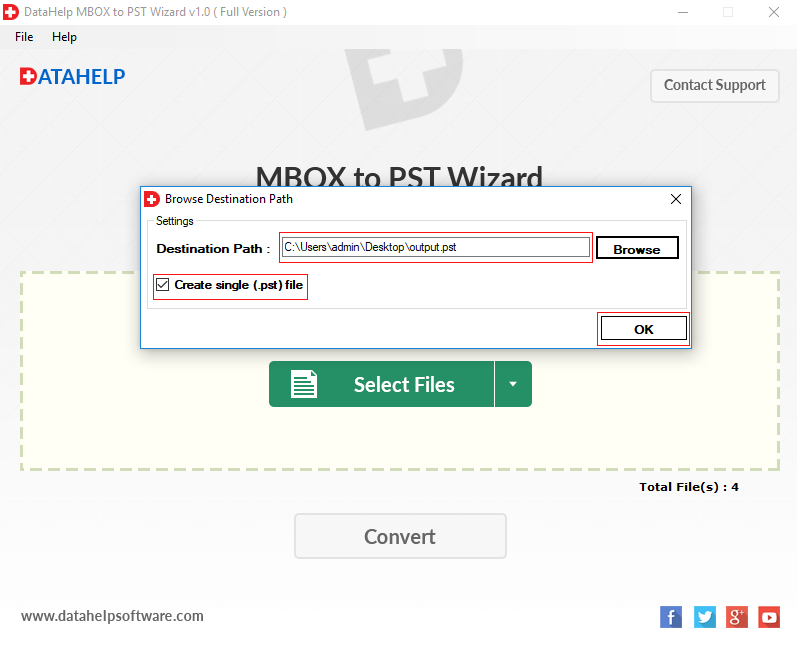 Furthermore, the user can easily migrate selective emails or complete folder of EMLX files to Outlook PST in batch as well. 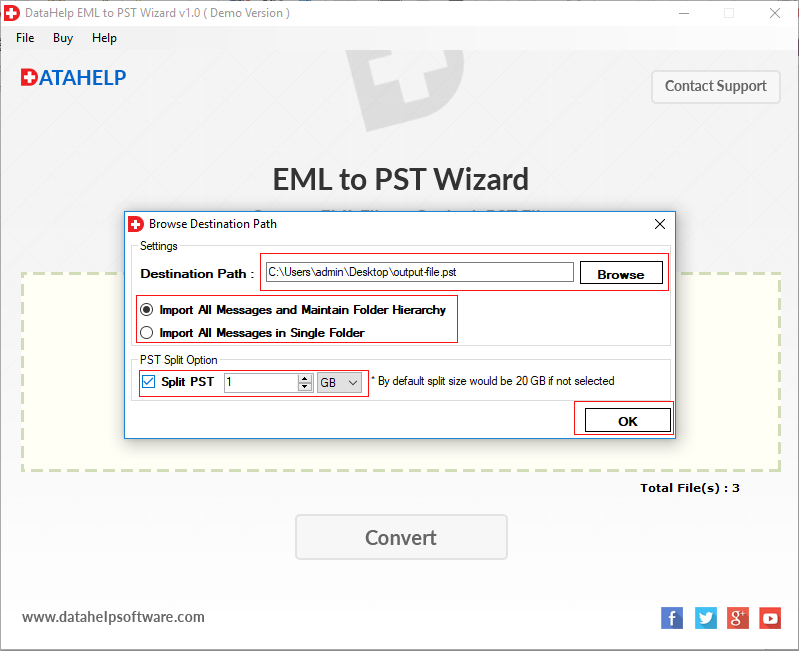 With this EMLX to PST converter software, the users can easily convert mac mail messages to PST in an efficient manner. It permits a user to save an output PST file at any desired location as per their choice. 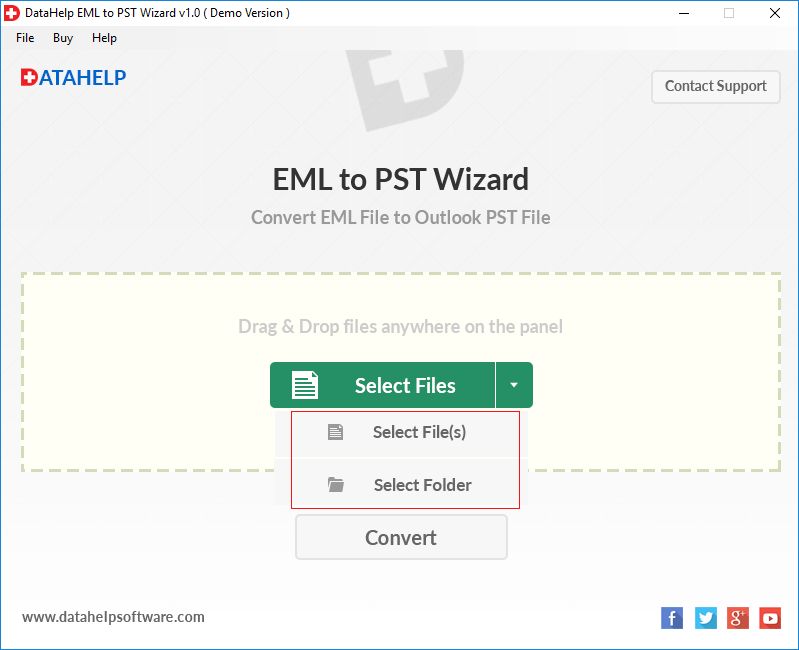 In addition, if users want, then EMLX to Outlook conversion tool can create a new folder for saving output generated files. 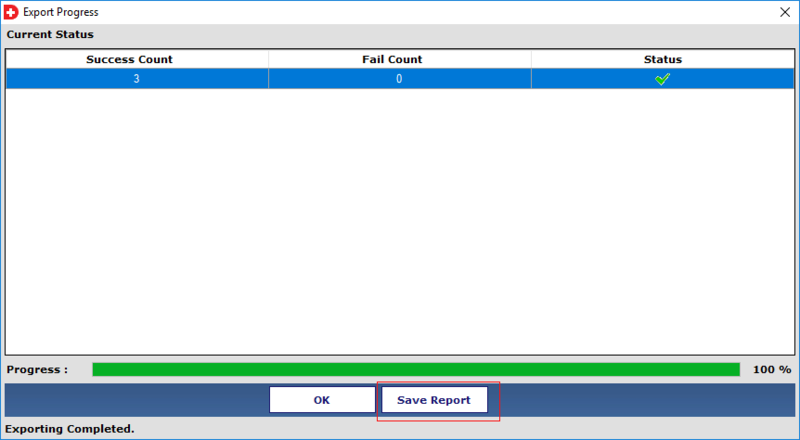 Besides this, a user can view the current status of EMLX file conversion & save export report. 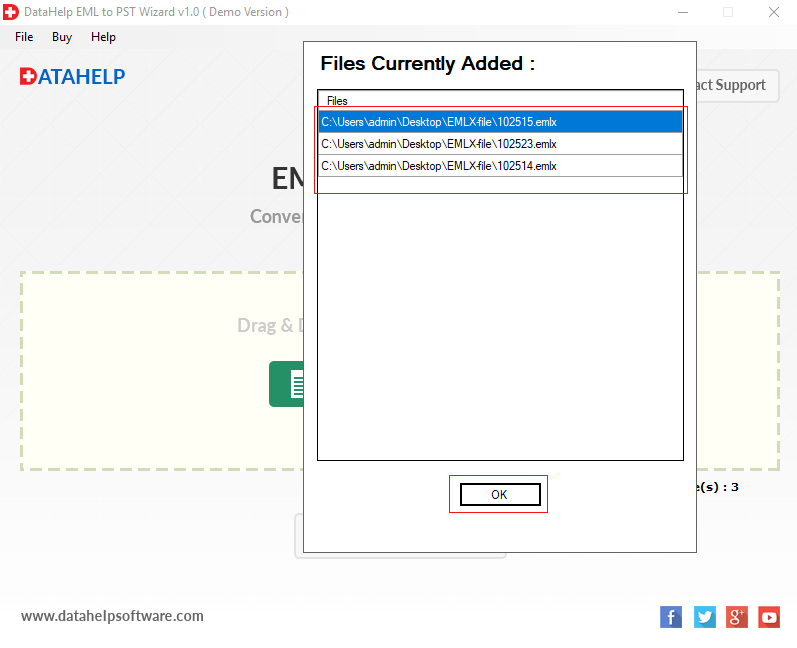 By default, EMLX converter will generate a new UNICODE PST file for converting .emlx files to .pst format. Even though, these Unicode PST files are compatible with Microsoft Outlook & you can import into 2003, 2007, 2010, 2013, 2016 of any Outlook edition. 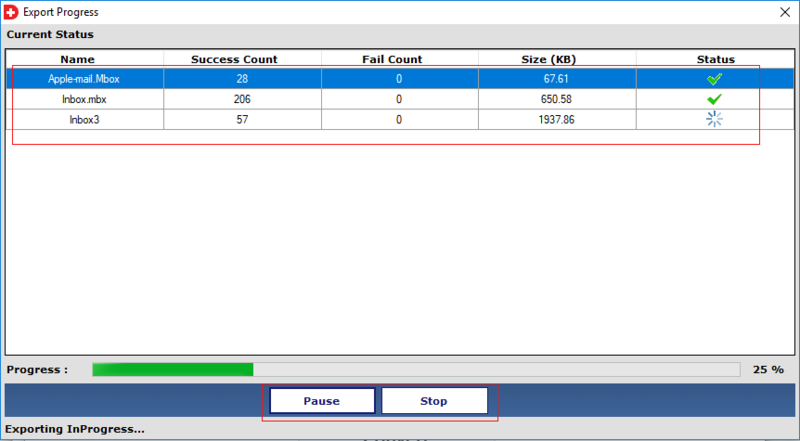 Moreover software provides split file option to manage large Output PST file. It will help to avoid several issues related to large size Outlook mailbox. The Demo Version of EMLX to PST Conversion Software export only 10 items. Does this software provide option to export multiple Mac mail messages to Outlook? Yes, the EMLX to PST converter tool support bulk conversion of Apple Mail messages to Outlook PST file. 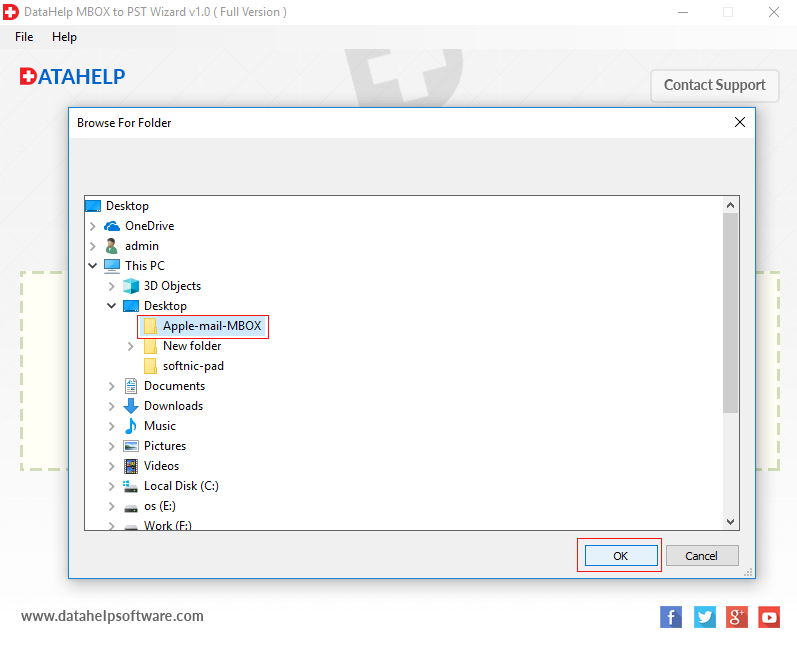 Can I able to perform data migration without having Microsoft Outlook installed? The software is independent on any external application to carry out EMLX file to Outlook PST conversion. MS Outlook is only required while reading an output .pst file during conversion. Is Apple Mail converter wizard capable to export multiple .emlx files at a time? The application provides option & allow you to export mac mail emails into a single Outlook PST, by using this tool you can easily convert multiple EMLX to PST at a time. Does the software retain on-disk folder hierarchy while converting EMLX to Outlook? 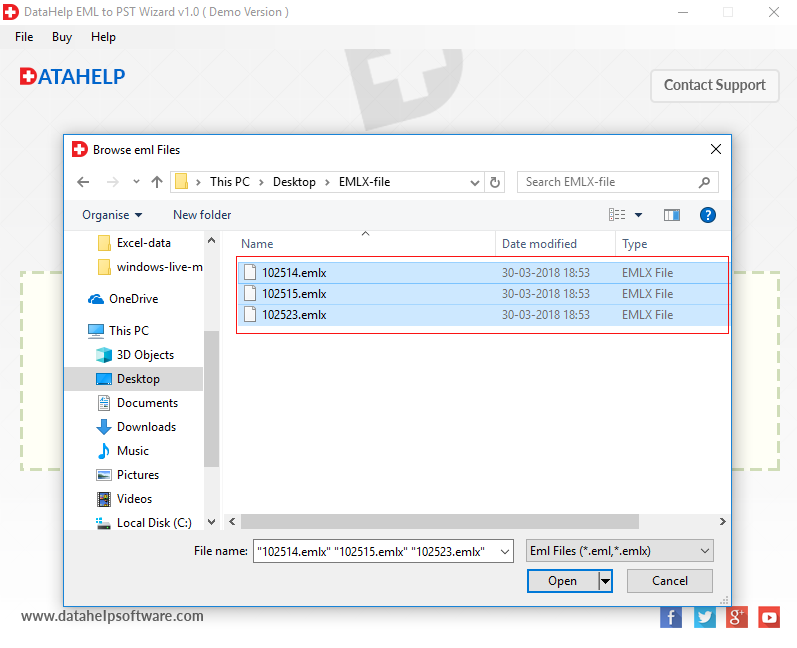 No, the EMLX file converter application does not support auto-detection option, but it provides options to save output file at desired location and software will maintain the on-disk folder hierarchy and also keep the data integrity while exporting EMLX file to PST format. Is it possible can I save the progress report in CSV format at the end? No, this EMLX to Outlook converter provides a feature to save the complete Export report in CSV format without a single bit of data loss. Is this application supports all Windows version for carrying out the conversion process? No, EMLX converter program is a Windows-based solution and it supports all version of Windows OS including Windows 10. "I would like to appreciate the development team for creating an Outstanding utility named as EMLX to PST Converter. I feel very grateful that I found a reliable software for converting mac mail emails to Outlook PST. 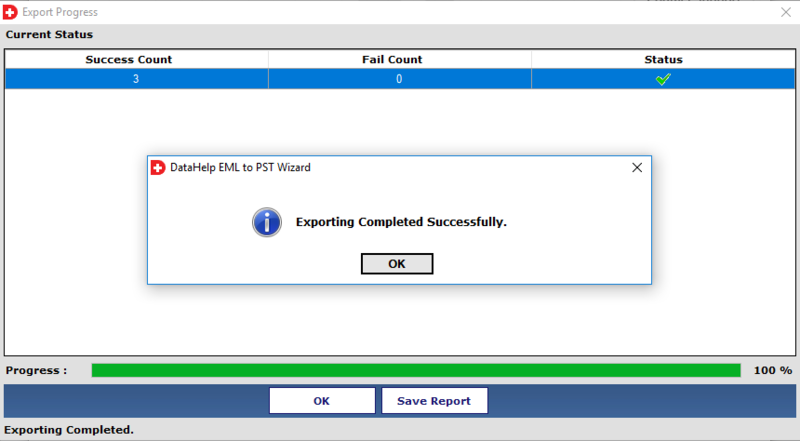 The best part of this software is that it can import multiple EMLX Emails to PST in a hassle-free manner." "I was looking for a solution to perform migration from Apple EMLX emails to Outlook 2016, 2013, 2010, 2007, 2003 UNICODE PST file. My major concern was exported .emlx to .pst format without any risk or data loss. 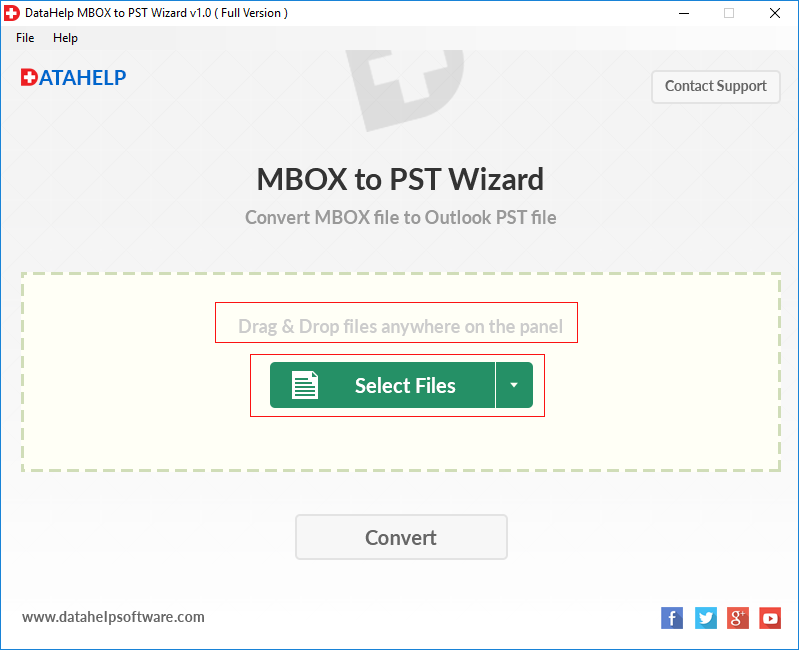 Thanks to EMLX to Outlook PST Converter Tool for helping me in the perfect way. Furthermore, this application has a simple and user-friendly interface that even a naive user can use it without taking any external help." 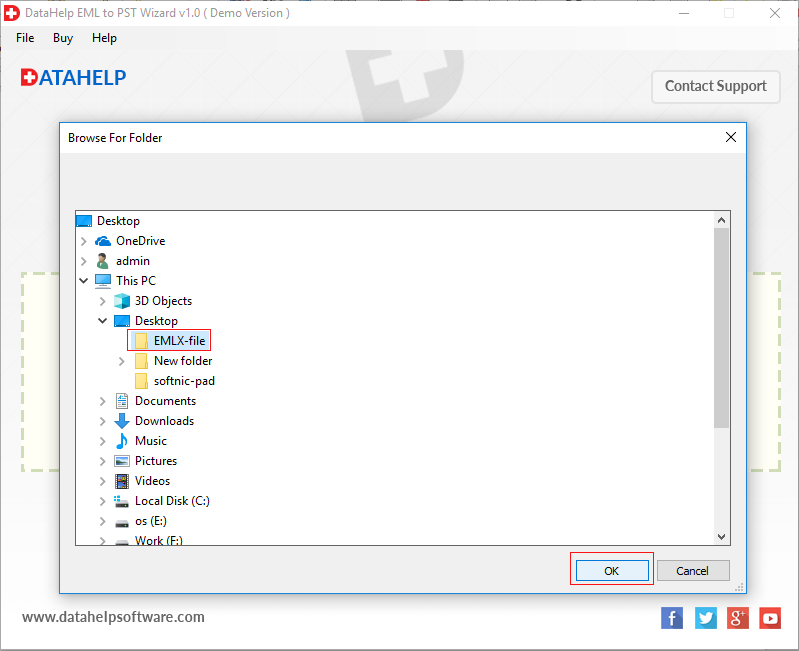 "I have used this software and I would like to appreciate the DataHelp Software to develop this effective utility. By using this Mac Mail converter I have successfully importing Apple Mail messages to Outlook email client. This is an endpoint solution to export data of (Mac Mail) Apple Mail to Outlook UNICODE PST."